The Pennsylvania Conference is committed to providing young people with opportunities to grow in their relationship with Christ and training so they can serve God with their unique gifts and abilities. Youth and young adult events are planned by a team of pastors, led by Lillian Torres, Youth and Young Adult Ministries coordinator. These events occur regionally and have spiritual and outreach components to them. James Black, North American Division Prayer Ministries director, recently challenged 230 attendees at the “Ignite Lehigh Valley” conference (pictured, left). Eighty responded to the call to commit to Christ. After spiritual messages and discussion groups, 180 teens and adults lived out the call by partnering with the Allentown Hispanic church, the Allentown church and Simplicity Outreach Ministries. During an Allentown Hispanic church community health event (pictured, below), youth went door to door connecting with and inviting neighbors to upcoming events. 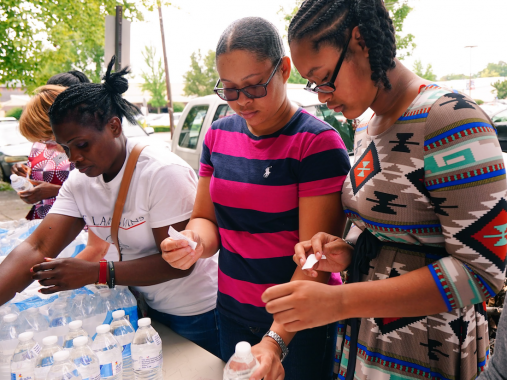 Others distributed water bottles with scripture verses on them to neighbors surrounding the Allentown church. A third team gave away bags of fresh vegetables from the Simplicity community garden and offered Bible studies. As a result, seven people requested studies. At another event, Hispanic youth gathered at the Tuscarora Inn and Conference Center for “Jovenes Ilevando la Mision al Extremo”—Young People Taking Mission to the Extreme. 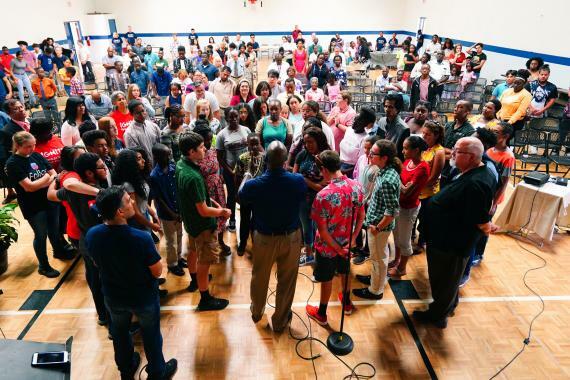 More than 250 teens and young adults, along with a few adults, learned ways to connect with friends through social media and urban evangelism. They discussed methods to bridge the generation gap and handle cyber bullying. “These young people then applied what they were learning by sharing the message of salvation to more than 1,600 friends through Facebook, Instagram, Snapchat and Twitter, using #MyXtremeMission,” says Saud Elias, Hispanic Ministries coordinator. Torres states, “We desire to see our youth ... impact Pennsylvania and the world, as Ellen White describes: ‘With such an army of workers as our youth, rightly trained, might furnish, how soon the message of a cru- cified, risen, and soon-coming Saviour might be carried to the whole world!’” (Counsels to Teachers, Parents, and Students, p. 555).